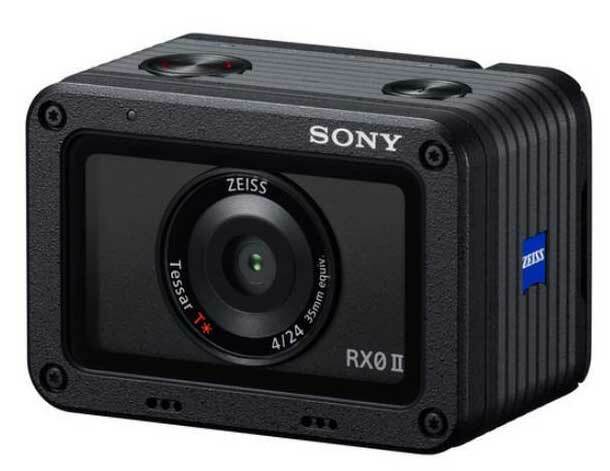 Sony Australia has just announced April availability of the second of its totally nifty little RX0 cameras, the RX0 II, which it is promoting as ‘the world’s smallest and lightest premium compact camera’. Local pricing is just $949. The Sony RX0 II – an object of desire, and surely another nail in the GoPro coffin. It’s waterproof, dustproof, shockproof and crushproof, offers 4K recording, an adjustable LCD screen that tilts upward 180 degrees and downward 90 degrees, and has a new image stabilisation system for video recording. It also has a 1-inch 15.3-megapixel Exmor RS CMOS stacked image sensor and an advanced Bionz X image processor matched with a Zeiss Tessar T 24mm f4 lens. Certainly punching above its 132g and 59mm x 40.5mm x 35mm size so far! A n RX0 II kit including a shooting grip and bracket will be available from June. Kudos to Sony Australia for bringing in the new camera at a world competitive price. US price is US$698 ($986). A local price of $949, with GST included, represents a great deal for Australian buyers.